2019 Ski-Doo Renegade Adrenaline 900 ACE. For more details, call 519-941-1517. 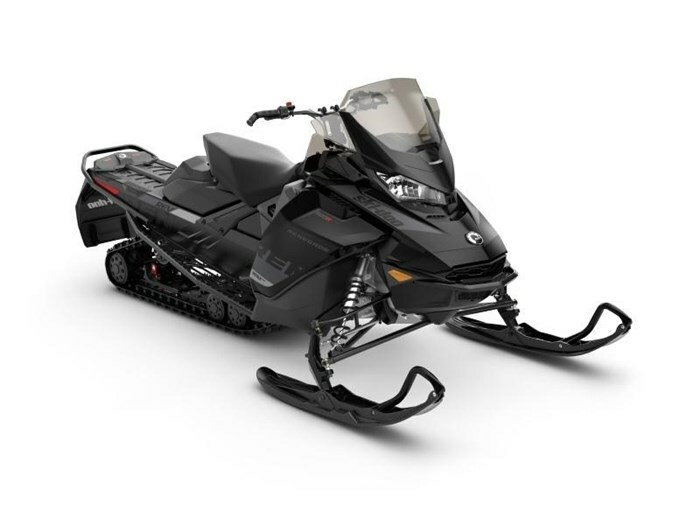 2019 Ski-Doo Renegade® Adrenaline 900 ACE Black CHANGE YOUR ROUTINE The 2019 Ski-Doo Renegade Adrenaline is the ideal sled for any snowmobiler who likes variety in their ride. Equally suited for hammering down the trails or a rip in the powder, the Renegade Adrenaline lets you establish your new winter "normal." Features may include: REV Gen4 PLATFORM NEXT GENERATION OF A LEGEND The 4th generation of the REV platform is designed around aggressive trail riders with a narrow, compact package giving the rider more freedom to move and influence the sled. More centralized masses (especially side-to-side), light weight and industry-leading suspensions make the vehicle ultra responsive. RMOTION REAR SUSPENSION CAPABILITY, CONTROL AND COMFORT Provides more capability, more comfort and more adjustability. Separate spring and shock dynamics combine with the most rising-rate/progressive motion ratio in the industry to give the rMotion suspension a supple ride in small bumps with added capability in large ones. And there’s no need to be a suspension guru to enjoy the ride – with its broad sweet spot, you can set it up once and it will perform impressively in nearly every condition. RAS 3 FRONT SUSPENSION PRECISION FRONT END Precise, predictable handling and outstanding bump absorption, even in harsh conditions, with state-of-the-art unequal length A-arm front suspension.